Champions League Round of 16 and Europa League Round of 32 draws | Who's Playing Who? The next round of both European competitions have been announced overnight, with some intriguing matches as we head towards the business end of the Champions and Europa Leagues. 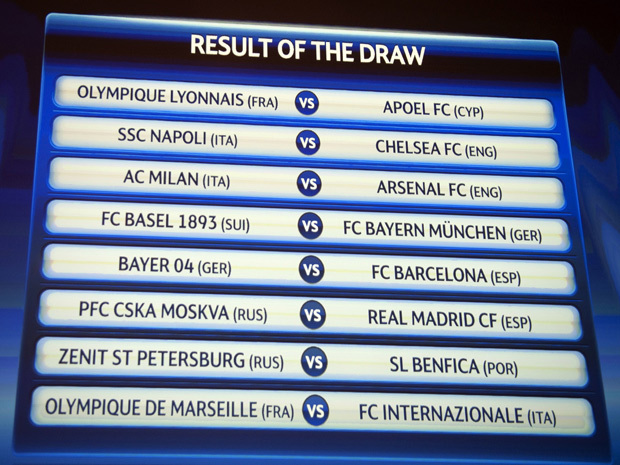 Chelsea have drawn Napoli, while Arsenal must overcome AC Milan in order to progress the the quarter finals. In the Europa League, both Manchester clubs have been handed challenging assignments. United take on Dutch giants Ajax, while City will clash with current Europa League champions Porto. Stoke also have quite a big task, set to face the side ranked third in La Liga, Valencia.